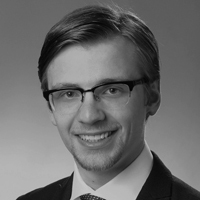 Steffen is a MiM student from Germany who is currently working at the Deutsche Bundesbank as a Banking Supervisor in the Single Supervisory Mechanism. Steffen is interested in digitalization and disruptive technologies in the financial sector. Furthermore, he holds a Bachelor's Degree in Central Banking from the University of Applied Sciences of the Deutsche Bundesbank. You want to know the best thing about studying the Master in Management at Frankfurt School? Even better than a highly motivated student body, a superb career service and a large network of alumni and companies? To me, it is definitely the “3-day model”, a flexible time model exclusive to Frankfurt School. That means that your full-time Master in Management programme at Frankfurt School is condensed to just Saturdays and two days during the week. The coolest feature about this is you can use the rest of the week to do whatever you want: work up to part-time, learn a language, get involved at the university, travel around Germany or Europe, or follow any other passion you might have. In this short article I want to describe my personal experience with the “3-day model” and give some tips on how you can get the most out of it. – First of all it allows me to transfer knowledge and experiences from the academic to the professional world and vice versa which is highly beneficial and helps me to put everything I do into perspective. – Secondly, I am able work in a very dynamic environment which requires constant adaption and is really exciting. – Furthermore, you get really used to working a lot and having a full schedule. I believe this is particularly beneficial for your later career as you can handle long hours and hard work. – Also, whilst working you gain practical experience and insights in interesting industries gives you the chance to establish contacts and build a professional network at an earl stage, which is an essential part of a successful career. The information you gather will help you when deciding on the first job you want to apply for after graduation. – Of course, the money you earn will come in handy to cover living expenses or finance your leisure time activities. Right now you may think that this sounds great in theory, but in practice you would have a high workload. I can personally relate to these thoughts, which is the reason why I am giving you some tips based on my own experience. If you keep the following few aspects in mind, optimizing the situation will be a piece of cake! 1. Get your head straight! There is university time and there is work time and the two shouldn’t overlap. The two major points to be successful in this are discipline and having a clear schedule. Of course this might not always be possible and I also found myself answering work mails during lecture breaks or taking important phone calls for Frankfurt School when I’m on break at work. But try to avoid it. 2. Be prepared to adjust! If something unexpected happens and this will definitely be the case, be constantly ready to adjust your plans accordingly. A certain degree of flexibility is always necessary if you want to be successful. This workload will push the body and mind but both need to rest so that you can give it all of your energy. Get out and clear your head once in a while in order to perform on high levels in the long run. 4. Choose the correct employer! When looking for an employer to take up a part-time position, working student-position or an internship, search specifically for companies which can give you the necessary flexibility you need to get the most out of the “3-day model” and ensure you have an astonishing experience. This might sound strange in the beginning: When you feel like your schedule is already full and there is no time for something else – do even more. Get involved both at work and especially at Frankfurt School. I found that the more I push myself and the more I work with all the motivated Master in Management students, the more I can achieve and the better the overall experience. I personally think you can only develop as a person if you get out of your comfort zone and the “3-day model” allows you to do exactly that: Get out there and perform! This is the most important thing. The Master in Management at Frankfurt School offers you an exceptional experience with the “3-day-model”. You have many different options and choices regarding what you do in your free time. Use this opportunity and enjoy it as much as you can!